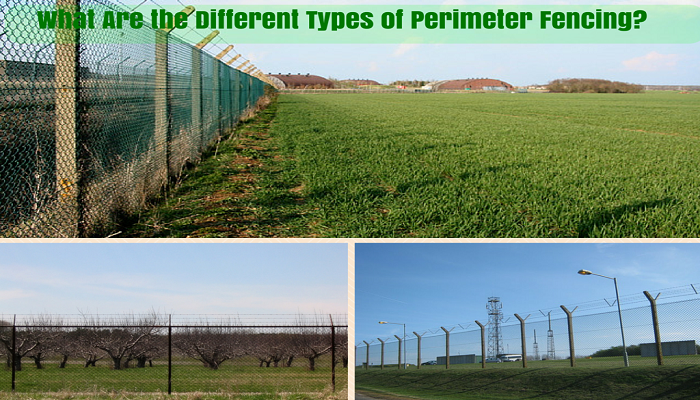 What Are the Different Types of Perimeter Fencing? Perimeter fencing comes in many types and styles and offers a multitude of benefits. The right type of fencing can offer security, privacy and even discounts off of your homeowner’s insurance premiums. The key is choosing the type of fencing that will help you accomplish your goals and accentuate the exterior of your home. What Is a Perimeter Fence? A perimeter fence is a structure that is constructed around the exterior boundaries of the property. It can be made of different materials and constructed in different ways. Why Is a Perimeter Fence Beneficial? A perimeter fence offers many benefits. A sturdy, high fence can protect the property from intruders, while a wrought iron fence offers both security and a decorative touch. If you want to be able to prevent others from seeing inside your backyard, a wood panel or vinyl fence is most beneficial. What Types of Fencing Works Well for the Perimeter? Perimeter fencing can be made from many different types of materials, each having particular benefits that set it apart from the others. A chain link fence is ideal for keeping pets and children inside the lawn, but does not do much for visual security or to protect the residents from intruders. Wooden panel fences that are built to a height of 7 feet or more are extremely secure and will prevent individuals from seeing inside the property. A wrought iron fence is extremely secure but does little to keep people from seeing inside the property. Vinyl fences offer durability and require less maintenance. They are affordable and are available in eye-catching designs. Elizabeth is the Owner of California Fence Company, a leading vinyl fence provider in Orange County. She is committed to providing the best customer service and high quality installations of vinyl fences for her clients. The company also offers a wide variety of fencing options, including chain link fence installation and hardscape services. This entry was posted in Fencing Guide and tagged fence companies, fence contractors, Perimeter Fence. Bookmark the permalink. Fencing can be a real asset to your property because it can keep your property safe. It also can keep intruders out and deter other delinquent activity. I had no idea that you could get fences made out of iron.